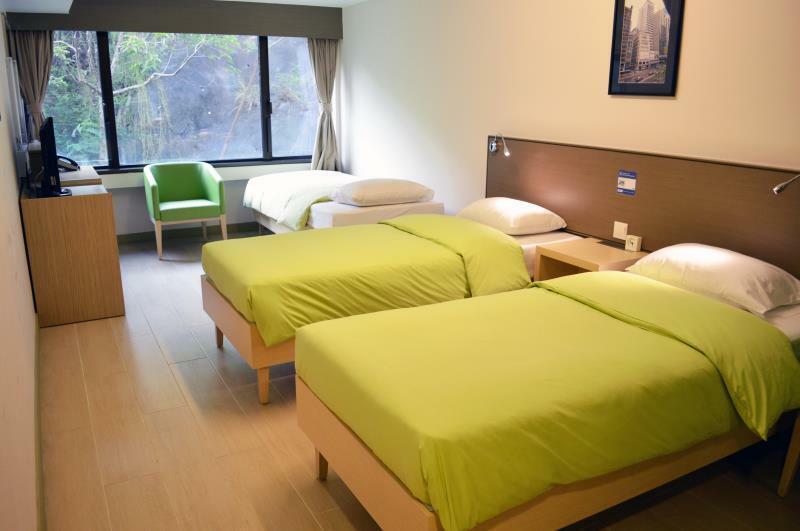 Heeft u een vraag voor YHA Mei Ho House Youth Hostel (Sham Shui Po)? Gelegen in het hart van Sham Shui Po, is het YHA Mei Ho House Youth Hostel een ideale uitvalsbasis om Hong Kong te ontdekken. Op slechts 32.9 Km afstand, kan dit 3-sterren hotel eenvoudig worden bereikt vanaf het vliegveld. Dankzij de praktische locatie liggen alle belangrijke trekpleisters in de buurt van het hotel. Voor YHA Mei Ho House Youth Hostel is niets teveel om het gasten naar de zin te maken. Zo biedt dit hotel goede service en vele faciliteiten. Het hotel biedt gratis wi-fi in alle kamers, 24-uur receptie, faciliteiten voor mindervaliden, bagageopslag, wi-fi in openbare ruimtes om gasten een maximaal comfort te garanderen. Alle accommodaties beschikken over doordachte voorzieningen om een ongeëvenaard gevoel van comfort te garanderen. Of u nu van fitness houdt of gewoon lekker wilt ontspannen na een drukke dag, het kan allemaal in dit hotel dankzij faciliteiten als tuin, speelruimte. 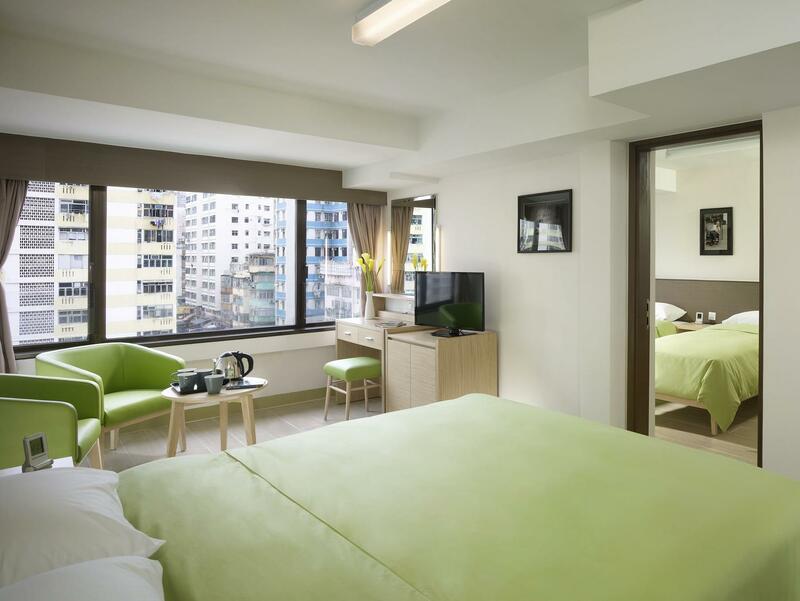 Het YHA Mei Ho House Youth Hostel is een ideale verblijfsplaats voor reizigers die charme, comfort en gemak zoeken in Hong Kong. De accommodatie vereist een vergoedbare waarborgsom van 500 HKD voor privé kamers en 100 HKD voor slaapzalen, te voldoen tijdens het inchecken. Kinderen vanaf 4 jaar dienen tegen betaling van een toeslag van 300 HKD per kind per nacht een extra bed te gebruiken. Extra bedden zijn alleen voor tweepersoonskamers, twinkamers (2 aparte bedden) en familiekamers beschikbaar. Gasten onder de leeftijd van 18 jaar moeten worden vergezeld door een begeleider ouder dan 18 jaar. Gasten jonger dan 18 jaar kunnen alleen in privé kamers verblijven, niet in de slaapzaal kamers. Kinderen jonger dan 4 jaar verblijven gratis indien gebruikmakend van aanwezige bedden. Goede ligging, rustig, prettig gebouw, metro dichtbij, leuke buurt, beklim ook de berg direct achter het hostel voor een geweldig uitzicht over de stad en de ondergaande zon. Ontbijt vonden wij minder smakelijk. Verder perfect. Prima verblijf gehad, hostel is van alle gemakken voorzien en ruime kamers voor Hong Kong begrippen. Erg ruime kamer met goede faciliteiten. 5 minuten lopen van de metro die je in 15 minuten naar het centrum brengt. I like most of the things in the hostel. They do have option for single bed but I’m not sure how spacious it is. I booked the 8 bed doms. It was okey until some of the tenant have a loud snoring... you are lucky if you sleep dead or all the tenants are non snoring or not loud snoring. The was the second time I stayed I here in Mei Ho House. The location is nice. You only need to walk for 5 mins to the nearest subway station. Many local restaurants nearby. The room is also very tidy and clean. Friendly staff, delicious breakfast, convenient facilities. I will definitely stay here if I come to Hong Kong again. My first stay at YHA Mei Ho House. Travelled with my 18yo and 15yo. stayed for 13 nights. I used to live in HK so I do know my way around town. Stayed at alot of different hotels across Kowloon, I got to say this is the best one for the price I've paid. 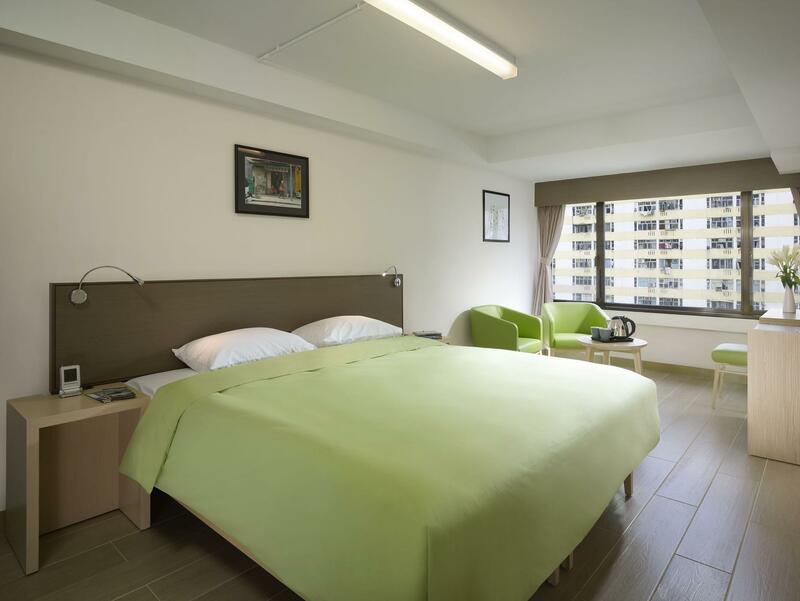 Location is good, near Sham Shui Po Station and Shek Kip Mei Station ( Both 10 min walk). Plenty of food around. Room is big. bathroom was spacious too as per HK standard. Cleaners do a great job. Linens are changed every 3rd day of stay but they will clean room everyday. Keep in mind, this is not a 5 star hotel so for the price you're paying. It's all worth it. I lived in the room with 7 roommates. I made friends with two of them. For solo travelers, if you want to find someone to try something together, YHA can be a really good place. I have climbed a mountain with a Hunan boy and tried a HK style breakfast with a Swedish friend. The friend from Hunan told me a lot about the annual book expos in HK. It was really interesting. Also, I talked my Swedish friend about the food in HK. We recommended food that we have tried for each other. We stayed for 6 nights and loved our time here. Between a 5 and 10 minute walk to two different MTR lines, loads of food options close by, a street market for cheap clothes and an amazing computer and electronics market under 5 minutes away. My only complain is with regards to the laundry facilities. 2 of the 4 washing machines were out of order and the other 2 didn’t do a good job at getting our clothes clean. A special thanks to the hotel staff for printing out some important documents for future travels. Pro: 1. Good stay 2. Good location 3. Breakfast provided 4. Big room considering the price Con: 1. Hard single bed although the double bed is fine (Stayed in a triple room this time and my 4th overall stay) 2. A bit bored of breakfast after 4th day staying there. great location in the sham shui po area with a lot of good, affordable food. minus points for cleanliness as the bathroom shower kept getting clogged which was a pain in a room of 8 girls. other than that, the hostel was comfortable and convenient to get to. Mei Ho House exhibit adjacent to (part of) the hostel bring back old days of life in a public housing community. Breakfast is included and served with options, and sticky rice in a lotus leaf with soy milk was perfect to start my day. Wall display of children’s homework, drawings and report card are added to nostalgia. Dorm room is okay, less privacy as 4 bunk beds were divided partially by a wall (2 bunks each), but upper beds are exposed with no divider/curtain. My dorm mate below was a lady from Beijing and we went out for a late nite dinner, while other ladies were a group of friends and less social to others, so taking a shower was a bit tricky. This type of dorm experience can be great or bad depend on dynamics of guests. Reception staff was bilingual with fluent English and very kind to help me figure out bus line and schedule on weekend. Overall it was a good experience for me. The room price was average but the room is spacious than most of the hostel in hk! I like the heritage museum located in the hostel. It is very interesting. It takes 5min from mrt to the hostel. There are stalls and stores along the way to the hostel. I would definitely stay back here next time when I get to travel to hk again! The room price was average but the room is spacious than most of the hostel in hk! I like the heritage museum located in the hostel. It is very interesting. The room. I would definitely stay back here next time when I get to travel to hk again! 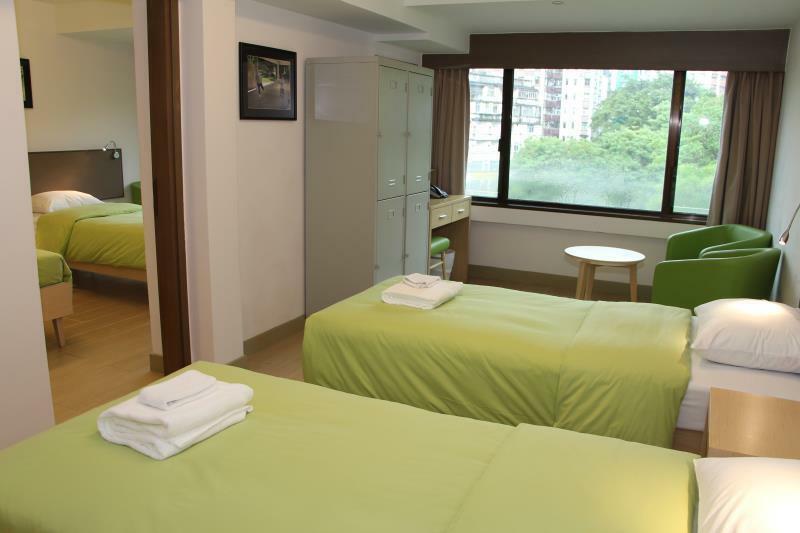 Overall a great stay in a nice spacious, clean room compared to the miniscule rooms that are the usual norm in HK. Free breakfast included is the same every morning but very good. Some negatives - If you are sensitive to noise you will be woken two or three times during the night either due to other hotel stayers, foot steps, or door banging; walls are paper thin with no sound proofing. The bed is rock hard as well and not very comfy. I will continue to stay here in my future visits to HK though because I like having the larger room! Room and washroom was spacious for 8 pax. Facilities were clean and place was well equipped (hair dryer, washing machine etc). Every bed comes with a Powerpoint nearby for easy charging. Would highly recommend it. It’s a bit far from from the train station/bus station. If you have young kids travelling with you, make sure to bring a stroller along with you. The food at 41 cafe is a bit expensive for it’s quality. 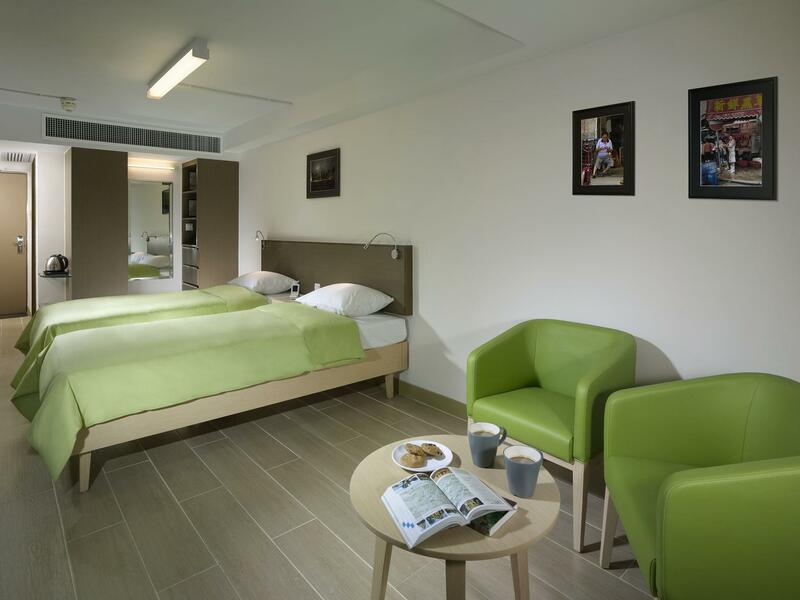 The rooms are well maintained and is cleaned everyday! Bring you own toothbrush and toothpaste, the hotel only provides hair and body wash. Take note that there is a 500 deposit required (refundable). I think the hotel is best for backpackers, solo, couple travellers who doesn’t mind walking. The hotel is near a night market which sells cheap stuff and there are a lot of dumpling restaurants near the market.